Every now and then I use a bag and think to myself, "These guys thought of everything." That's the case with the new Tenba Cooper Luxury Canvas 13 Slim Camera Bag. 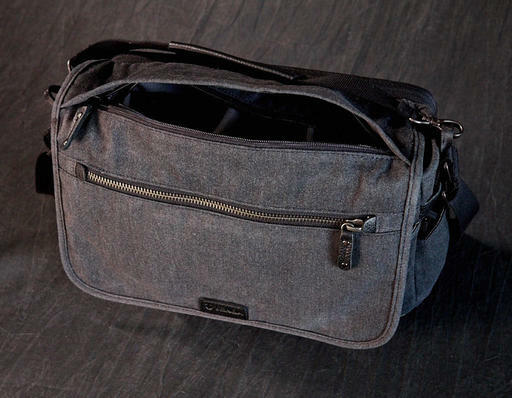 This messenger caught my eye when first announced, in large part because of its handsome design. Now I've had a chance to test it for a week. 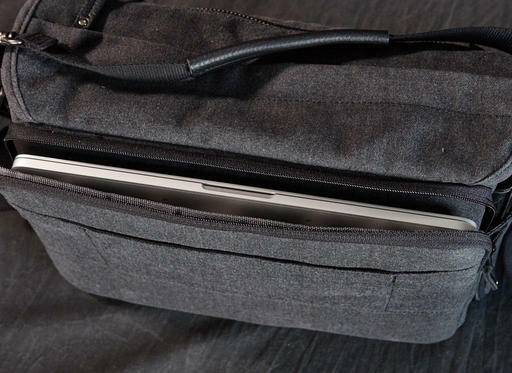 I like it because it is indeed slim: only 5.5" deep, so it hangs at your side like a bag should. Even when I pack it full of gear, including two mirrorless cameras, lenses, MacBook Pro 13" laptop, iPad mini, and accessories, it holds its shape. The peach-wax cotton canvas is soft to the touch and looks great. The hardware complements the fabric perfectly including real leather trim, brushed metal fasteners, and an attractive front zipper that also serves as an accent. 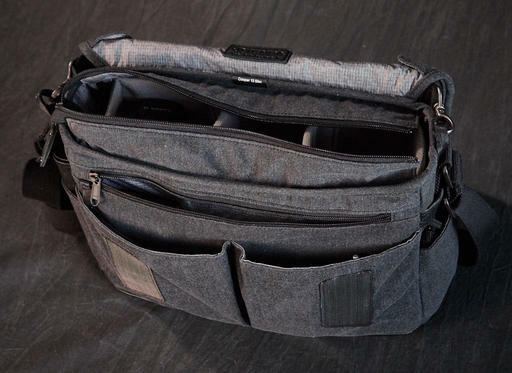 Inside, the protective camera compartment is removable, allowing for quick relocation to a hotel safe and enabling the Cooper to be used as a regular messenger bag. You don't have to raise the front flap to access your gear. 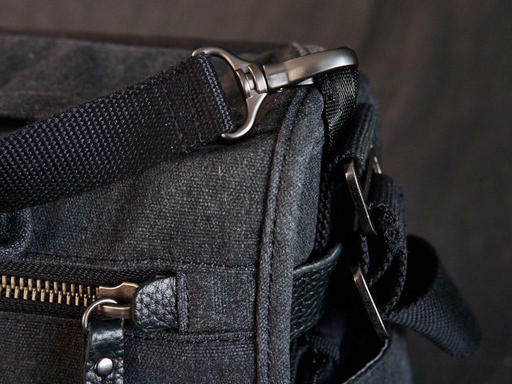 A top zipper allows for quick retrieval of a camera or lens. In fact, everything is easy to find. I keep my iPad in the front compartment, laptop in the back, and camera get in the center area. I can quickly reach everything via a zipper. Speaking of which, the 13" laptop is stored in a separate back compartment. This makes it very easy to remove when going through airport security, yet it's against your back for protection. And if you're thinking that might not be comfortable in transit, that has not been the case for me. I keep the iPad mini in the front compartment for quick access. Inside the bag there are plenty of individual compartments for smaller items. If you pull down on the front flap before lifting it, the velcro-like fasteners are virtually silent. It's a nice touch. I'm stashing an OM-D E-M5 Mark II and a Panasonic GM5 in the main compartment. I've added a couple of lenses too. There's also plenty of room for my accessory pouch, glovers, pens, etc. This Cooper Slim goes beyond being just practical, however. Every detail from zipper pull, to trolly sleeve, to leather bottom has been designed with great care. 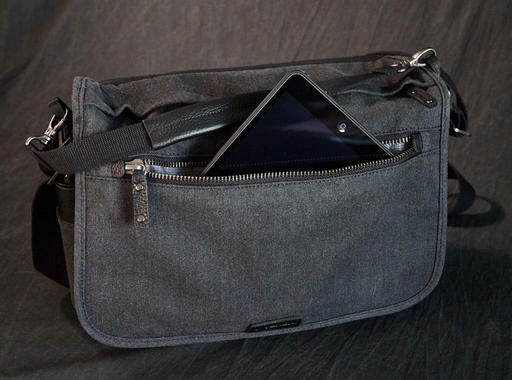 The side pockets have vertical zippers so you can place the item inside, then zip up to secure it. Really smart. And I've relocated the pad for the shoulder strap to the carry handle. This makes the grip even more comfortable, and if I need the pad on the shoulder strap, I can relocate again. The bottom line is that I plan on using this bag for years to come. Since it's only 14.5" wide, I can take it anywhere. If the weather turns bad, it includes a form fitting rain cover, and when I sit it down on the table at a business meeting, it's handsomely appropriate for that occasion too. The Tenba Cooper 13 Slim is now available for $229. And if you need a bigger version of this bag, Tenba makes that too. The Tenba Cooper 13 Slim has a high Nimbleosity Rating. What does that mean? You can learn about Nimbleosity and more by visiting TheNimblePhotographer.com. Amid the present unwrapping and rekindling of old memories, family gatherings usually feature a healthy serving traditional fare. And as such, those memories are worthy of capture too. The combination I used during our Thanksgiving celebration was the Panasonic Lumix GM5 with the Panasonic 20mm F/1.7 II prime lens. 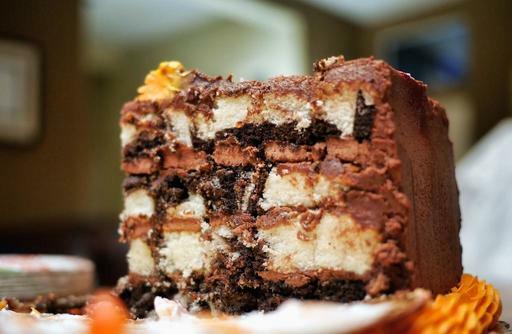 This cake shot was at ISO 800, f/1.7, 1/60th of a second, with exposure compensation set to +1/3. I set the camera right on the table for a dramatic angle. I also found a good reference article for this sort of thing: 18 food photography tips for the holidays. If nothing else, it will send you to the fridge for a snack. The bottom line is that attractive food shots add a lot to the holiday story. And in many cases, family recipes are a treasured (and delicious) part of those memories. 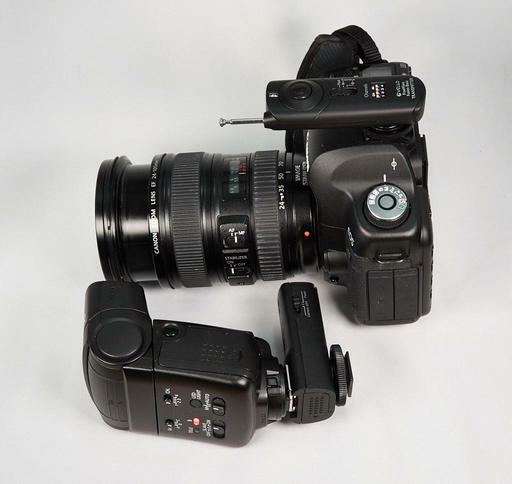 The Vello FreeWave Fusion Basic Wireless Flash Trigger System for Canon or Nikon cameras provides wireless flash and remote firing at an affordable price. I've been testing the Canon version with my 5D Mark II, using it for both outdoor flash photography and as a handy way to fire the camera from a distance. 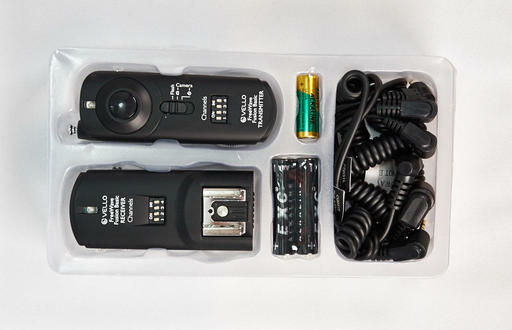 The kit comes with a variety of cables to connect the receiver to your camera. This enables the wireless trigger function. Kit comes with everything you need. System set for off-camera flash. There is no TTL control, so flashes with manual settings are best for this rig. Both the transmitter and receiver are well designed, easy to operate, and fairly robust. And I think it's particularly cool that you get dual functionality from a single set. 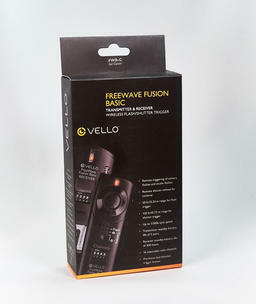 The Vello FreeWave Fusion Basic Wireless Flash Trigger System is on sale for only $29.95 through Dec. 17, 2015 at B&H Photo. After that, it's still quite affordable at $39.95. This is The Digital Story Podcast #510, Dec. 15, 2015. 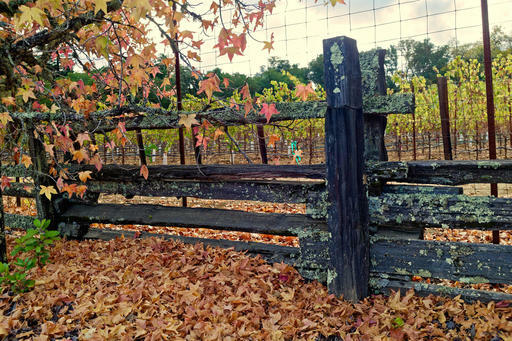 Today's theme is "Photo App Smackdown." I'm Derrick Story. So I've been promising everyone that I'm going to make a photo management decision by the end of the year. And true to my word, I have a trio of apps that will fill my toolbox in 2016. And that's what the focus of today's show will be. It's difficult for me to replace Aperture with just one application. At the same time, this is an opportunity for me to broaden my horizons. 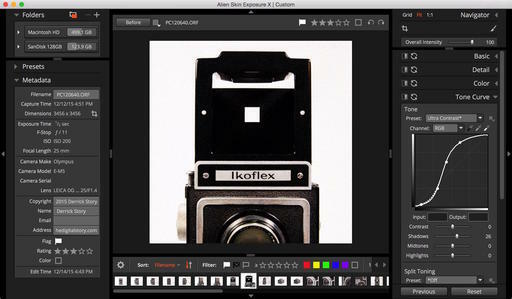 My photography today is different than a decade ago, and weaving these three apps together satisfies my needs right now. Core Management App: Capture One Pro 9 operating as a managed Catalog. 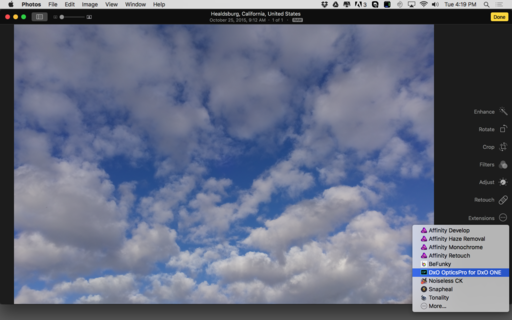 Cloud Based App and Video Organizer: Photos for OS X for backing up my iPhone photography, sharing online, video management, and plug-in fun. Fast Turnaround: Exposure X for sorting through a memory card quickly, rating images, applying edits, and sending photos along their way. I explain my reasoning behind all three of these apps in today's feature story. Registration for unmanned aircraft begins Dec. 21, 2015, says the FAA in a recent press release. This new requirement applies to owners of small unmanned aircraft (UAS) weighing more than 0.55 pounds (250 grams) and less than 55 pounds (approx. 25 kilograms) including payloads such as on-board cameras. The normal registration fee is $5, but in an effort to encourage as many people as possible to register quickly, the FAA is waiving this fee for the first 30 days (from Dec. 21, 2015 to Jan 20, 2016). The form is online and can be completed at www.faa.gov/uas/registration. 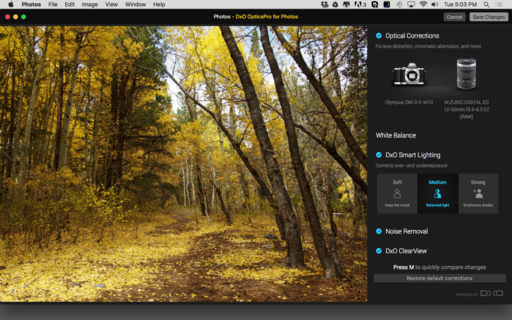 I've been testing CleanMyMac 3, and I have to tell you, I love this app. 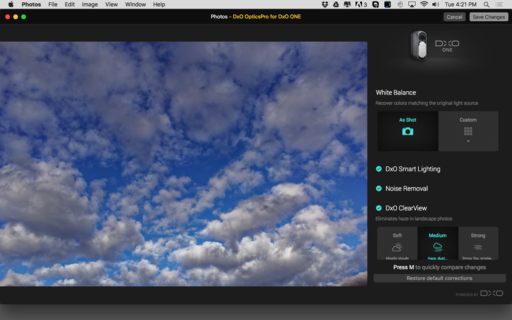 Using the Smart Clean feature, I removed 20GBs of cruft from my MacBook Pro. I don't know if you saw my review of the Glow QuadraPop Portable Softbox, but this is a nifty lighting accessory sold by Adorama. The kit comes with an adapter ring that you insert the flexible aluminum rods into, then expand it to a full 24" wide by 34" tall - a nice surface area for waist up portraits. I originally tested it with a strobe. But I've since figured out how to mount a LCD light inside, and I'm digging it even more. I'll use it again for an upcoming portrait shoot on Wednesday. This week's Screening Room selection is Photos for OS X Essential Training with yours truly. In this title I show you the ins and outs of this maturing application from a photographer's point of view. I explain how to use the new and sophisticated geotagging function. And I demonstrate the editing extensions, which provide an open door to this application that third party developers are using to add powerful new features. 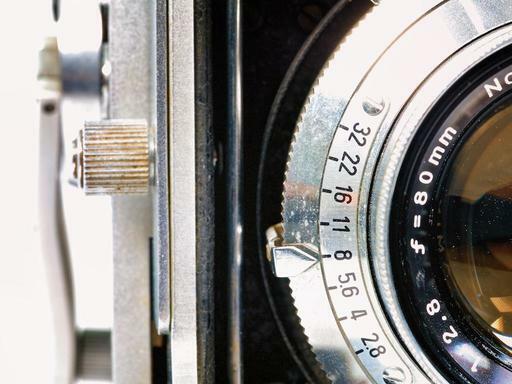 In regard to Monday's Facebook Post: Our 10 Favorite Film Cameras of All Time (by Shutterbug Magazine) - Rob Costain wrote: "I moved from Kodak Instamatic to an Olympus OM-10 in 1981, but my favourite camera of all is still the used Olympus OM-2 that replaced my OM-10. The OM-2 is small compared to its contemporaries and you can see why the Olympus E-Mx series is such a hit. I don't use my OM-2 much anymore, but I still keep it loaded with film." If you use Adobe Lightroom, Red River Paper has a collection of Fine Art Card Templates that you can download and use to simplify creating your greeting cards. They're free, and there are even tutorials on how to use them. The next edition of The Nimbleosity Report comes out this Wednesday, Dec. 16. You don't want to miss this issue! Sign up today to get in on the action.